Thoughts from someone who, until very recently, had never owned or played a Saturn. There it lay: The ntsc-j Saturn. When was it made? Not sure. When was it popular? No idea. What games does it play? Not a clue. For me though, it was all intensely exciting. I’d rarely seen Saturns in the wild. In fact, I think I’d only ever seen one. But now I could study it in detail. Straight away the buttons on the front had me intrigued: POWER. Ok, no problems. OPEN. Yes, fine. And… ACCESS? My teenage son laughed and told me it was in case I wanted to ‘hack’ into it. But he too was curious. And it had both a CD tray and a cartridge slot. Surely it must be capable of truly great things? In terms of aesthetic it seemed to resemble a slab of clay and was heavier than I expected. 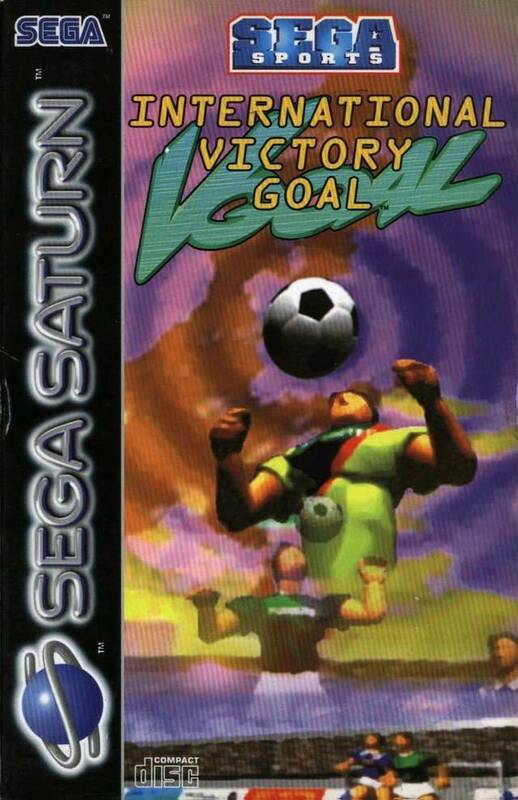 The first game I played was International Victory Goal, which surely must count as one of the catchiest football titles ever. You may think this is a strange choice but I currently only own three games and my eight year old was very keen to see this one. 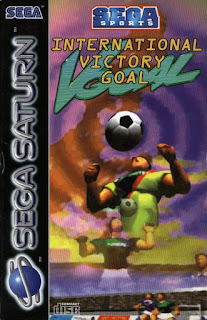 As the intro played, with huge people doing various kicks -presumably to score the victory goal, I found myself wondering if the images were state of the art back in the day. The copyright on the box was 1995. About the time of the Playstation? My gaming history is so dodgy. Just before n64? If those console dates are right then the graphics were indeed not bad. The n64 still gets a lot of love in my house from all ages and the Saturn produced better graphics. Certainly, I rather enjoyed them. I didn’t get too much chance to test the gameplay because the eight year old (who's a big fan of ISS64 and FIFA16) quickly took the pad and began experimenting. I’ll be honest, we all giggled at the running animation. The players seemed nothing if not enthusiastic. The angle of the camera (from behind the goal) took a bit of getting used to but there was something strangely captivating about the whole experience. When he scored his first goal he celebrated as energetically as ever -all criticisms forgotten. Moments later, Italy equalized and everything was unfair. In that sense, it was a typical football game. The fact that we played it for a considerable amount of time suggested that the gameplay was fairly decent. I have no idea if it is the best football game on the system. Perhaps there’s Cosmopolitan Triumph Goal, waiting to be uncovered. But one thing is certain: This first, brief, foray into the world of Saturn is worth following up. Thanks! Glad you liked it. It has been fun getting to know the Saturn a little. I've only had it a week or so, and am looking forward to uncovering more games. Thanks for the comment! Great recount Dave! Looking forward to more reports from your perspective, as someone who is new to the system!